I love the interaction between the earth and water, two of the four basic elements (earth, water, air and fire as proposed by the Greek philosopher Empepedocles of Sicily). When there is a fine layer of clay on the surface of the mud, it will crack and curl as it dries. I found this dried clay in Zion National Park in 2004. 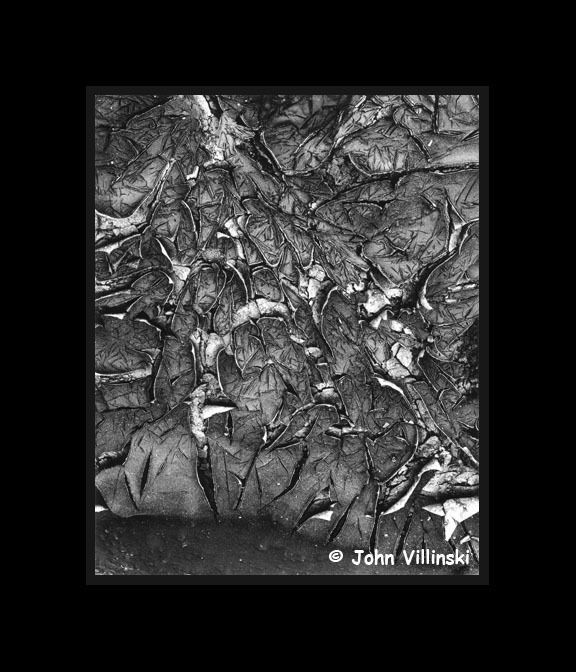 ©1991-2007 John Villinski. All rights reserved.